The truth of the matter is that proper and regular insulation maintenance can save a fortune in the long run. An un-maintained insulation system can lead to substantial energy loss, corrosion, safety issues, mold growth, and property damage. Insulation that has been stepped on, compressed, ripped, deteriorated by ultraviolet light, or saturated with water loses some, if not all, of its insulation value. 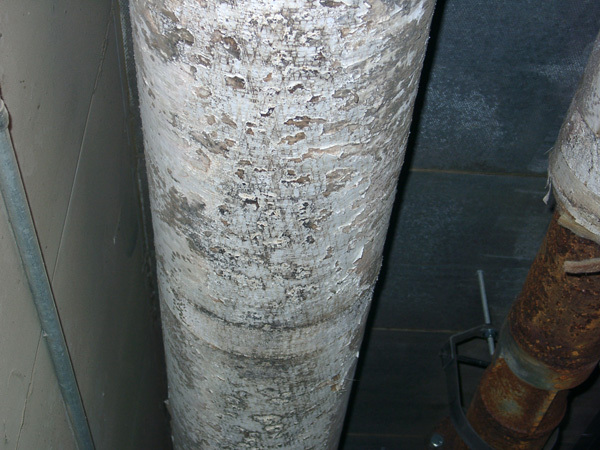 Figure 1 clearly shows that the bottom pipe’s insulation is severely damaged and needs replaced, while the top lines need insulation and jacket on the fittings. 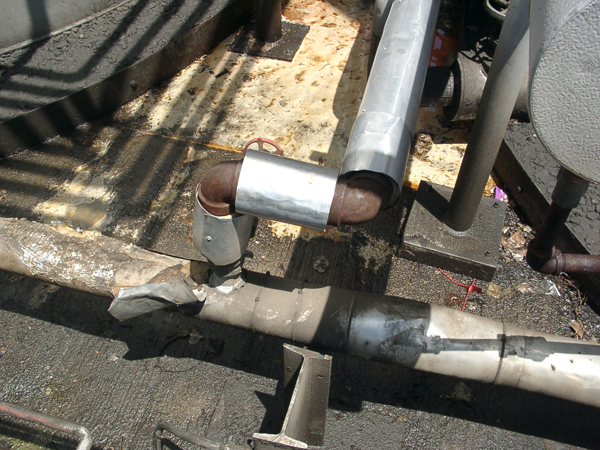 What is harder to identify is that the insulation on the upper pipe is completely saturated with water. 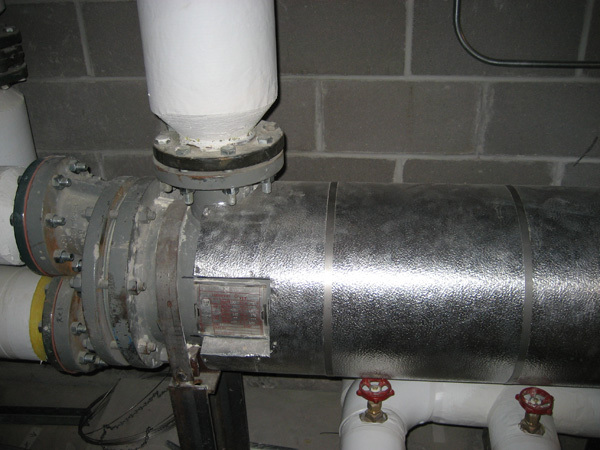 This wet and damaged insulation provides almost no insulation value at all on this low-pressure steam line. Unfortunately, this system has spent many years damaged and exposed to the elements and has cost the facility a tremendous amount of losses in both dollars and Btus. The good news is that with a reputable insulation contractor, the proper material, and qualified installers, this system can be stripped, reinsulated, jacketed, and sealed and then last for years or decades. A case study published at www.pipeinsulation.org stated that if the Inland Paper and Packaging Company in Rome, Georgia, replaced damaged insulation on their 150 psig steam process and added insulation to un-insulated tanks, “…then the savings per year would be approximately $230,000.” In any economic environment that would be significant; in today’s it is absolutely critical to take advantage of those opportunities. 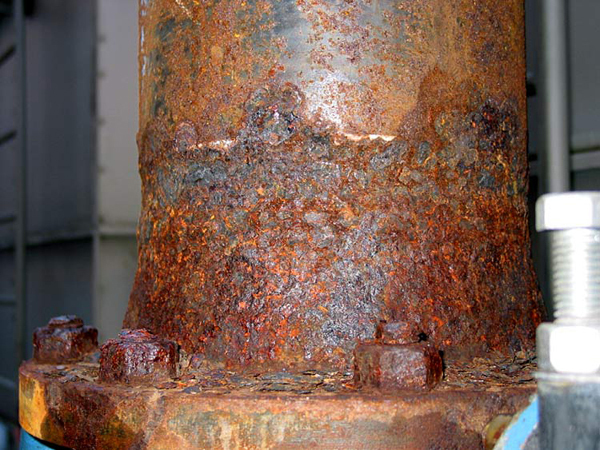 Corrosion occurs when moisture is introduced under the insulation and comes in contact with the metal surface of a tank or piping (see Figure 2). The moisture can come from many sources, including rain, snow, mist from nearby systems, and wash-down equipment. 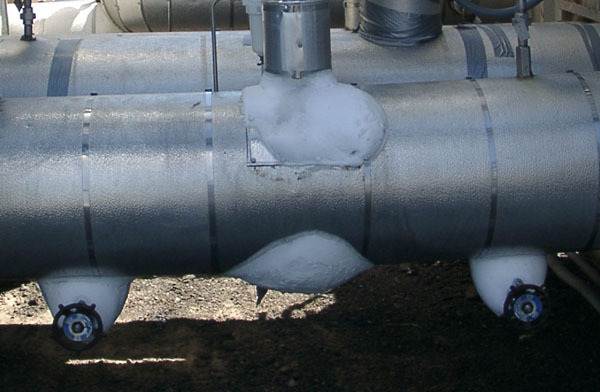 When the pipe is too warm for the moisture to freeze and too cold to burn off the moisture, corrosion under insulation (CUI) can occur. CUI is typically difficult to identify until it becomes a serious issue. How serious? A 2002 study by the U.S. Department of Transportation and Federal Highway Administration estimates that the direct cost for corrosion in the production and manufacturing industry is $17.6 billion. It is essential that repairs to piping and tanks be reinsulated as soon as possible to eliminate the possibility of moisture entering the insulation system. It is equally important to specify and use the proper material for the repair. On below-ambient lines such as chilled water, the insulation contractor must first cut away any damaged or wet insulation before installing the new insulation. Great care must also go into properly sealing the insulation and forming an adequate vapor barrier to prevent moisture from penetrating into the new insulation. On exterior lines of any temperature range, the proper insulation jacket must also be selected according to the facility conditions. In high abuse areas where a metal jacket is needed, seams must be positioned where wind cannot easily drive rain into the jacket, and caulking must be applied on end caps, valve stems, penetrations, fitting seams, and any other location that could allow moisture into the insulation. On tanks and vessels, the metal jacketing must be installed using techniques to properly shed water, and any penetrations of the jacket must be caulked and sealed. Maintaining caulking is also important to maintain the original water-tight seal. Selecting an insulation with a corrosion inhibitor, properly painting the pipe, or coating it with ant-corrosion gel can help keep corrosion at bay. floods or unusually severe weather affecting piping or equipment not normally impacted by weather. Burn hazards are one of the most common maintenance issues encountered in an industrial facility. Exposed flanges, valves, damaged insulation, and other insulation problems can provide ample opportunity for plant personnel to burn exposed skin. It takes just a matter of seconds to receive a significant burn from an exposed steam line. Consider the steam connections on the heat exchanger in Figure 5. The facility could eliminate the burn hazard for a few hundred dollars by installing removable insulation blankets over the flanges; instead, the flanges sit exposed approximately 30 in. off the floor. As with other insulation applications, insulation selection is just as important in removable blankets. In another facility, a removable blanket had been built for a 600 lb. steam valve. At first sight it appeared adequate, but on further inspection the material was browning and brittle and the surface temperature was still too high to be safe. Selecting the right insulation and blanket material up front would have saved time, money, and a potential accident. In addition to burn hazards, safety hazards that could result in personnel getting cut or poked are often overlooked when it comes to insulation. 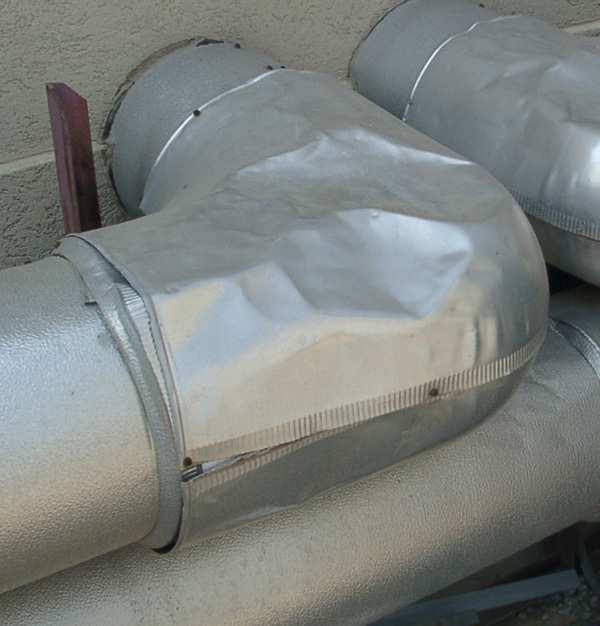 If pipes or tanks have a metal jacket installed over the insulation, care must be taken to ensure there are no sharp edges, missing end caps, tie wire, loose bands, or other exposed hazards. A poorly cut seam can leave jagged edges that could slice a finger or an arm of anyone walking by. A missing end cap could leave hot pipe exposed or make it easier for a worker to catch a shoulder or forearm on the exposed metal joint that remains. Loose bands or tie wire can create tripping hazards or, if elevated, result in an eye injury. Typically, chilled water is one of the biggest culprits in mold growth and property damage. Problems with chilled water can lie undetected for months or years, depending on the length of the cooling season. For example, if the insert material for a PVC fitting cover was not installed properly, condensation can build up in that fitting. If the fitting is taped correctly on the outside, it can hold that condensation and cause it to wick down the line. After some time the condensation will settle in the lowest portion of the pipe. This author has seen some condensation problems so bad that the owner thought it was a pipe leak. The downside of all this moisture is mold growth. In Figure 6 the chilled water insulation was damaged and never repaired properly, resulting in mold growth. All the chilled water insulation in this area had to be stripped and replaced. In Figure 7, the chilled water pump was at one point properly insulated; however, after the last pump maintenance, the insulation was never repaired. There is continuous condensation, and mold has developed on the pipe insulation. 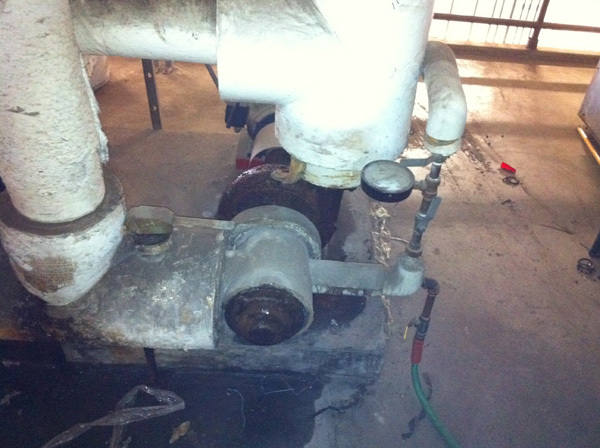 By not re-insulating this chilled water pump, the owner allowed the condensation problem to become so bad that water runs under the equipment pad and seeps into the offices below. It has slowly saturated ceiling insulation, sheetrock, and ceiling tile in the offices, resulting in an even bigger mold issue. 1 day to fix the pump after maintenance, the facility will have to relocate offices, have the mold professionally removed, hire a sheetrock and ceiling company to make repairs, and finally hire an insulation contractor to re-insulate the pump and the piping associated with it. Putting off a 1-day repair is now going to cost a week. Entire books could be written on the maintenance topics above; this article has barely scratched the surface of the benefits of a proactive insulation maintenance program. As much of the country heads into the coldest part of the winter, the risks of waiting to properly repair damaged insulation should be considered. Proper insulation maintenance is easier when the original installation was performed by a qualified insulation contractor. Don’t be afraid to ask for work history, references, and even pictures of previous installations, which any professional contractor will be happy to provide. To find an insulation contractor in your area, visit the National Insulation Association’s Membership Directory at www.insulation.org/membership.